FORT WAYNE, Ind. 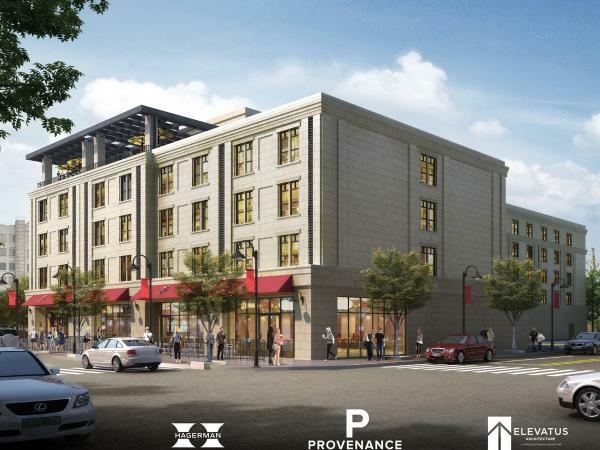 - Already known for its vastly growing downtown region, Fort Wayne has announced plans for two additional hotels in the city&apos;s urban core. A 125-room Hampton Inn & Suites hotel along with a 125-room boutique hotel designed by Vera Bradley co-founder Barbara Bradley Baekgaard are planned to be completed in 2019. Operated by White Lodging Services Corp., the same developer that constructed downtown Fort Wayne&apos;s 250-room Courtyard by Marriott, the new Hampton Inn & Suites will be the third hotel conveniently connected to Fort Wayne&apos;s Grand Wayne Convention Center. The Grand Wayne Convention Center has hosted national groups and meetings from all over the world, and the additional connected rooms will provide more space for visitors and new options for meeting planners. The new boutique hotel being developed by Provenance Hotels and Vera Bradley&apos;s co-founder Barbara Bradley Baekgaard will also offer something unique to visitors. "For years, I&apos;ve dreamed of bringing colleagues to Fort Wayne and providing them with a memorable experience, something unique to our community," said Baekgaard. "Northeast Indiana has so much to offer, and our visitors and residents are well-traveled, they deserve a hotel that captures the spirit of the region and reflects our values." 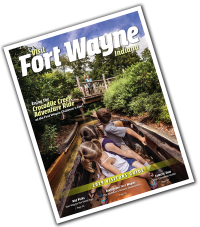 For more information contact Visit Fort Wayne Marketing Specialist Crystal Cully at crystal@visitfortwayne.com or President and CEO Dan O&apos;Connell at dan@visitfortwayne.com.